A few months back, Google released a new payment app for Indian users, Tez. Turns out this app is not too fond of jailbreakers and throws an error if you use it on a jailbroken device. Here’s how you can fix it. Just like every other payment application, Google Tez app also has its own powerful DRM system. Online payment applications of any kind require a certain degree of protection from intruders, hackers, and thieves. While us jailbreakers are not thieves, a jailbreak can allow a hacker or a mischievous user to hack this application. 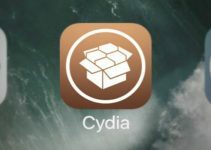 This is why Google has implemented a powerful jailbreak detection system, just like Snapchat, to protect from its app from changes. However, for jailbreakers and tweak developers, no mountain is too high to conquer. Within days of the app’s release, we already have a working DRM bypass for it. 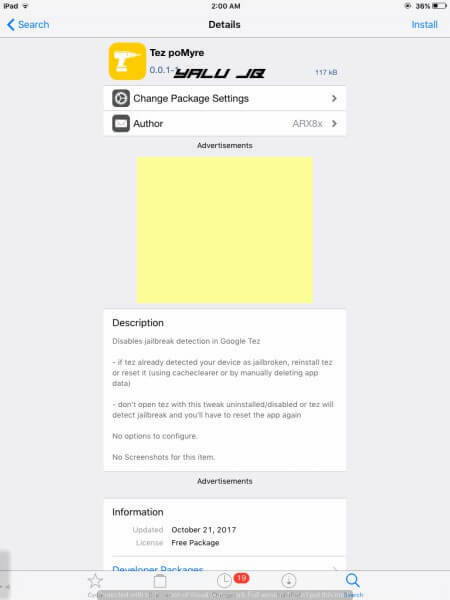 Tez poMyre Cydia tweak successfully bypasses the DRM system of Tez app. 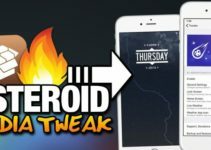 It is developed by tweak developer ARX8x. Here’s how you can download and install it on your iPhone. Perform a search for “Tez”. Select this Cydia tweak from the results and install it. its current version is 0.0.1-1. Run Tez on your jailbroken device. Once you install it, there are no options that you need to configure. Remember, you must reinstall Tez if it the app has already detected you are running a jailbreak. According to the developer, you can also perform a reset using the Cacheclearer tweak. You also must not uninstall or disable this tweak or else you will need to perform a reset once more. This method has a 100% success rate on all devices and compatible firmware versions. 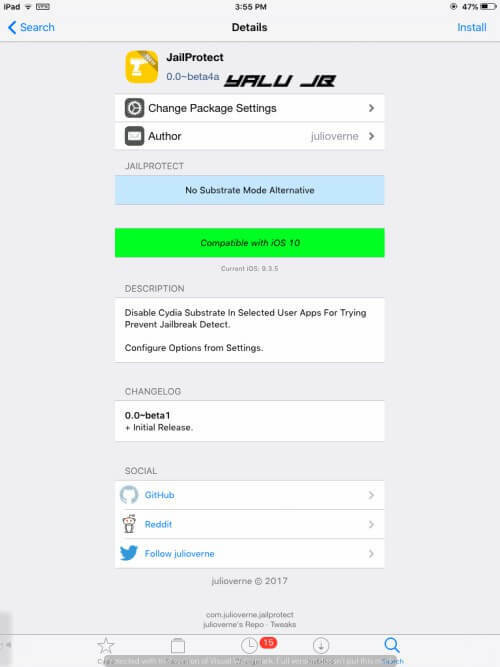 JailProtect is yet another Cydia tweak that disables Cydia Substrate inside applications. It is developed by the notorious developer, Julio Verne. While this doesn’t have a very high success rate, it’s worth trying if other methods fail. 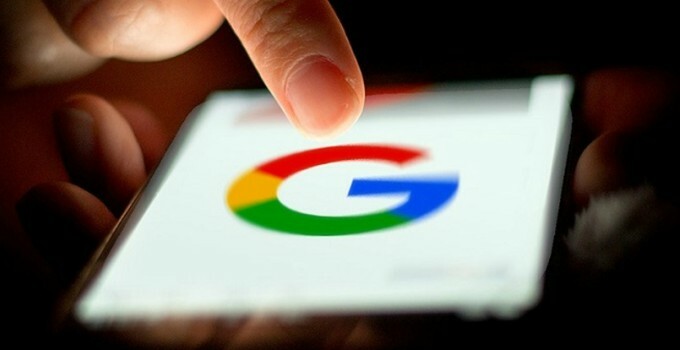 Hopefully, these methods will fix all issues you are having with Google’s new payment platform. As is evident, this tutorial is written specifically for Indian users. If you want a bypass for any other app, leave a comment below. Can anyone tell if Cacheclearer tweak is compatible for iOS 11 . Is there any other app to clear cache ? Can these 2 apps be bypassed? Have you tried any existing tweak yet?